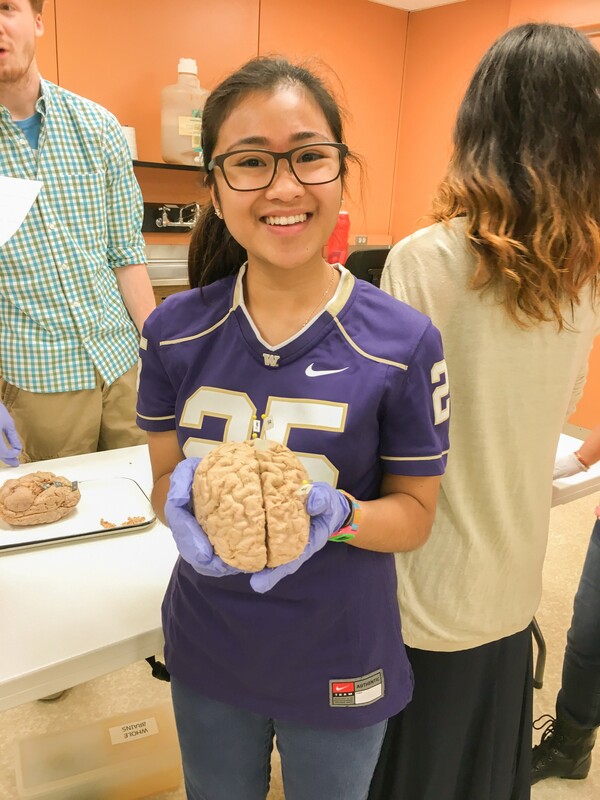 Dorothy Cabantan’s journey to the University of Washington began before she was born. Eager to pursue the American dream, her mom filed an immigration petition to leave the Philippines.By the time the request was approved 20 years later, Cabantan was 17, about to graduate from high school and poised to enter a medical-track university program in her home country. Even so, Cabantan quickly decided she was meant to be a Husky — especially after learning about the incredible opportunities for undergraduate research and the scope of majors available at the UW. 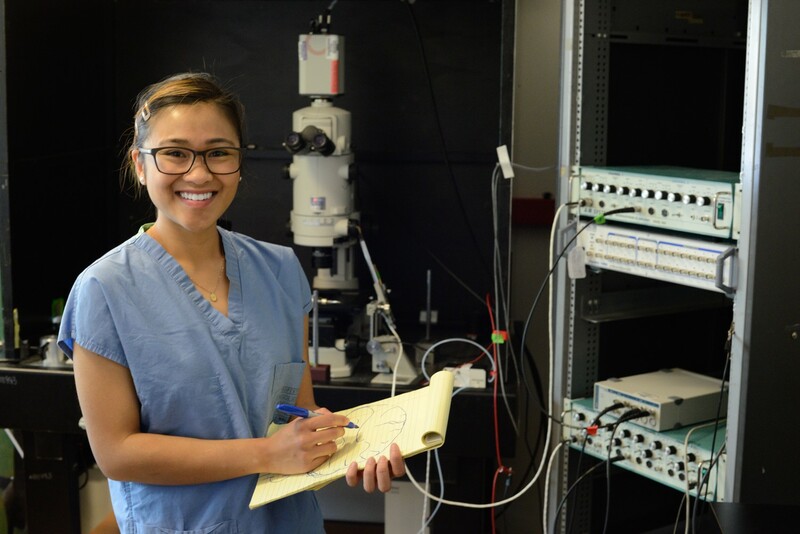 “I’ve always been fascinated by biological systems, especially the brain,” she says. “As a leader in health care and research, the UW looked like an exceptional place for me to study. Cabantan took advantage of many opportunities to enhance her undergraduate experience. She also learned from those around her at every opportunity. Her graduate student TAs played a key role in teaching her to think more critically when probing into scientific questions. 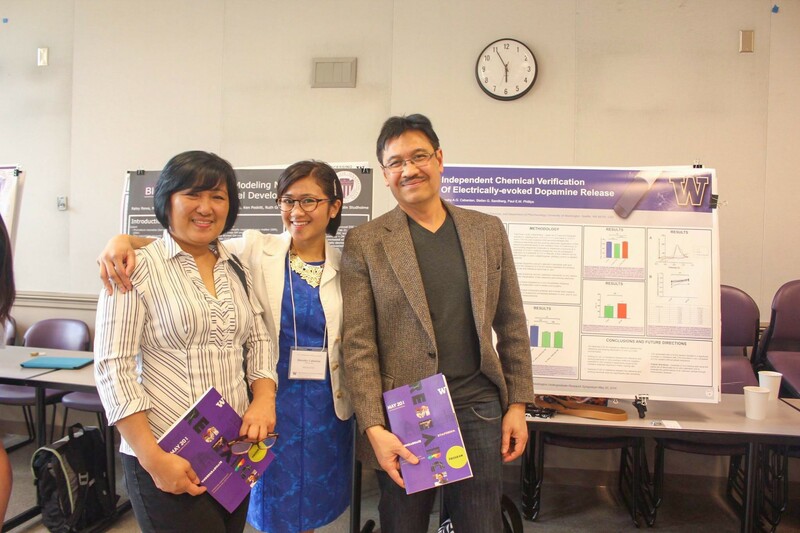 As a science tutor for K-8 students through Undergraduate Academic Affairs’ Pipeline Project, Cabantan based her teaching philosophy on that of her role models, gently walking students through questions to solve problems. Early on, Cabantan also realized that being a student meant more than just acing her classes. With the goal of fostering connections with fellow Huskies, she joined the Associated Students of the University of Washington. She went on to serve as a Dawg Daze team captain, an undergraduate research leader, a Pipeline Project tutor, a mentor for OMA&D’s Mentor Power for Success Program, vice president for advertising for the UW TriBeta Biological Honor Society and a volunteer at Seattle Children’s Hospital. With the help of scholarship support, Cabantan was able to focus her energy on her education both in and out of the classroom. 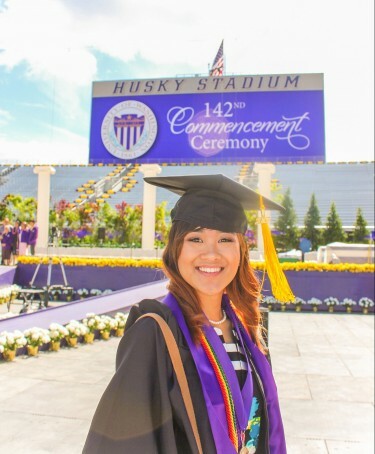 Her exceptional academic success and service to the UW community even earned her a spot in the Husky 100 and as one of six student banner carriers for the 2017 commencement ceremony. Cabantan’s proud moment at commencement. Kids stomp and shimmy as iSchool professor Michelle Martin starts them off with a song. Later, they will build sandcastles, make Japanese fish prints and squeal with delight as they wrangle blobs of slime larger than their heads. This is not your average storytime. 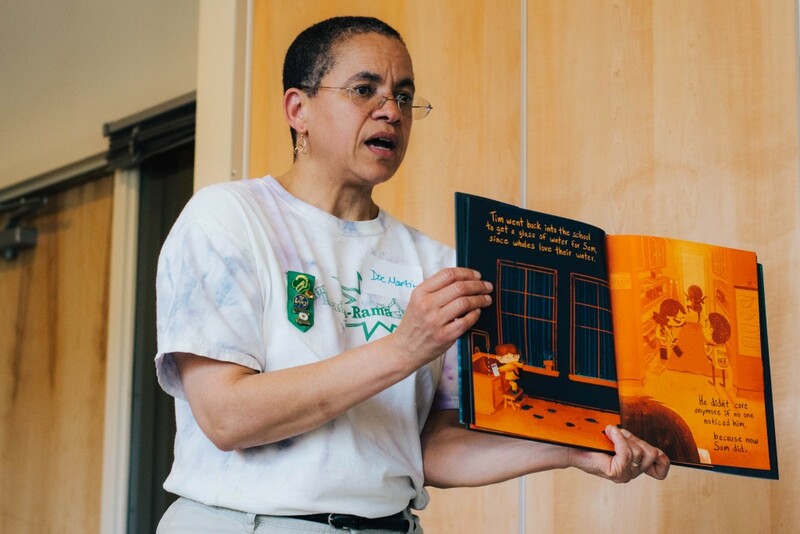 This is Camp Read-a-Rama, Martin’s summer program that uses books as the springboard for hands-on activities, winning kids’ enthusiasm as it promotes early literacy. Martin joined the iSchool last fall as the Beverly Cleary Endowed Professor in Children and Youth Services. Professor Martin keeps kids engaged with books through fun activities, including music and crafts. The school’s Beverly Cleary Endowed Professorship, last held by the late Eliza Dresang, was one of the first of its kind when it launched in 2005. Cleary, a 1939 graduate of what was then the UW School of Librarianship, was a children’s librarian who saw kids struggling to read books that had no characters they could relate to. So she decided to create the everyday, every kid characters in best-selling books such as “Ramona the Pest” and “Dear Mr. Henshaw.” And she became one of the nation’s most beloved children’s authors. Less than a year into her UW professorship, Martin has wasted no time in establishing Camp Read-a-Rama, an idea she originated while teaching English at Clemson University. Her goal is to make it a national model for full-immersion literacy programming. Tonight, the theme is Read-a-Rama Under the Sea. Students from Martin’s History of Children’s and Young Adult Literature class read books such as “Sea of Dreams” and “Surprising Sharks” to kids ages 4 to 11 who move from station to station, trying their hand at various book-related crafts. 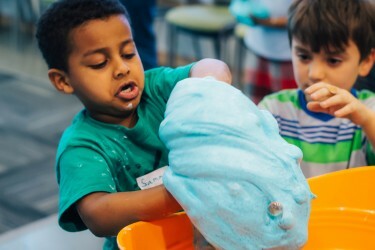 The biggest hit seems to be the slime, a ghastly concoction of shaving cream, contact lens solution, food coloring and other ingredients congealing into a slippery mass that the kids take turns attempting to tame. 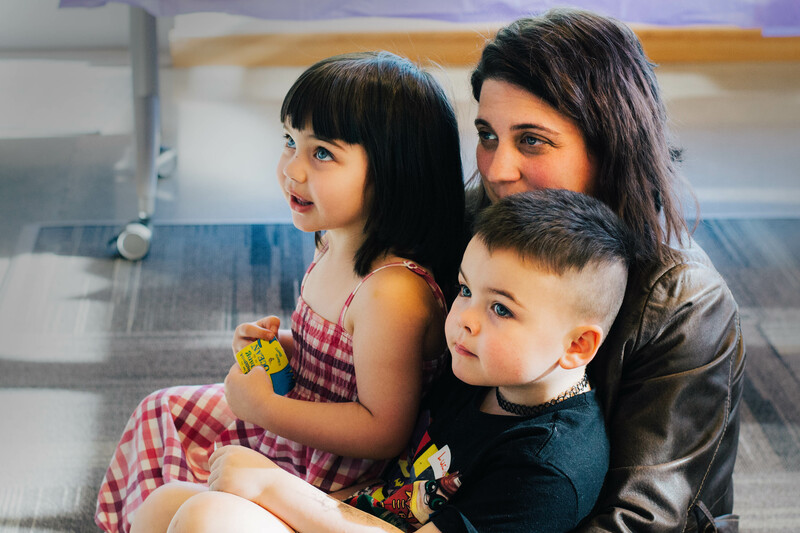 The reward, iSchool Ph.D. candidate J. Elizabeth Mills says, comes from connecting with kids and watching their excitement levels rise as they participate. 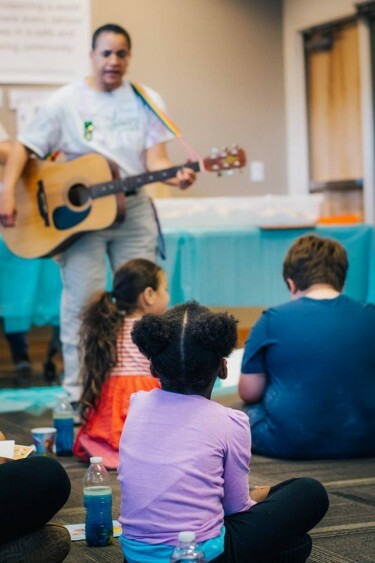 Camp Read-a-Rama partners with churches, libraries and community centers that have large populations of low-income children, who often suffer significant academic slide during summer months; and with schools whose students have low reading proficiency levels. This past July, Read-a-Rama offered two weeks of camp for children at Compass Housing Alliance and Mary’s Place, a homeless shelter in downtown Seattle. Next summer, Martin plans to offer many more Read-a-Rama camps. A young student plays with slime at Camp Read-a-Rama. A young family participates in Camp Read-a-Rama this summer. The concept of keystone species — species that play a crucial role in maintaining an ecosystem — is at the heart of ecological studies today. However, the idea that one species could have such a large impact on any environment was unheard of before biologist Robert T. Paine, a professor and researcher at the University of Washington, developed this theory in the 1960s. Paine, who passed away in 2016, was a hands-on researcher who transformed the field of ecology. Not only did he develop the concept of keystone species, but he also changed the way ecologists do research by pioneering experimental ecology. Like a keystone species, Paine’s influence on ecology has been disproportionally grand. He created a lasting impact at the UW with the Robert T. Paine Experimental & Field Ecology Endowed Fund — and during his nearly five-decade career, he nurtured a scientific family tree through his mentorship of more than 40 graduate students and postdocs. Paine developed his keystone species concept at Makah Bay, Washington, after receiving special permission from the tribe to conduct his experiments in the isolated bay. This remote area was perfect for the biologist because he did not have to worry about much human interference with his experiments. When Paine began his research, the bay’s rocky shores hosted a community of mussels, starfish, barnacles, algae and other sea life. But when he, removed the starfish from the habitat, Paine saw how quickly the balance in the ecosystem collapsed. The formally diverse habitat was overcome by mussels, and the rest of the sea life was driven out. Through these experiments, Paine discovered how certain species uphold an ecosystem — and how their absence or removal starts a domino effect, disrupting the function of the entire environment. His findings have been critical in identifying other keystone species around the world, including killer whales, wolves and sea otters. Graduate student Katie Dobkowski between research dives at Friday Harbor Labs. Paine was driven by his passion for field work. He was ardent about getting his students out in the field for hands-on experiments and encouraging them to have fun while testing their theories. This dedication to experimental ecology led to the creation in 2000 of the Robert T. Paine Experimental & Field Ecology Endowed Fund, which supports research awards and an annual fellowship in biology. Since the fund’s creation, one fellowship and 40 awards have been awarded to UW Biology students. Funding through the endowment has helped these students work on research in the field and conduct the type of experimental research projects that were so important to Paine. Katie Dobkowski is one of the students who received support from the Paine fund for her Ph.D. research. She did all her field work at Friday Harbor Labs on San Juan Island. 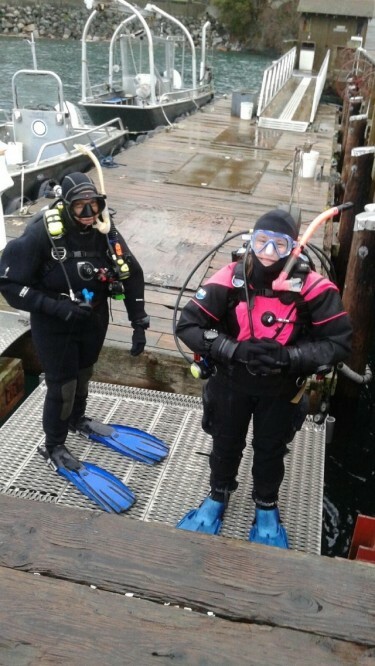 Her research, which focused on investigating living and non-living factors that influence the distribution of bull kelp in the Salish Sea, involved a lot of scuba diving — more than 300 dives — which isn’t cheap. Dobkowski holds a spot on a tertiary branch on the Paine scientific family tree; her adviser, Jennifer Ruesink, was one of the many graduate students mentored directly by Paine. Dobkowski will continue to uphold Paine’s legacy when she begins her postdoc in the UW Department of Biology as an introductory biology lecturer this fall. 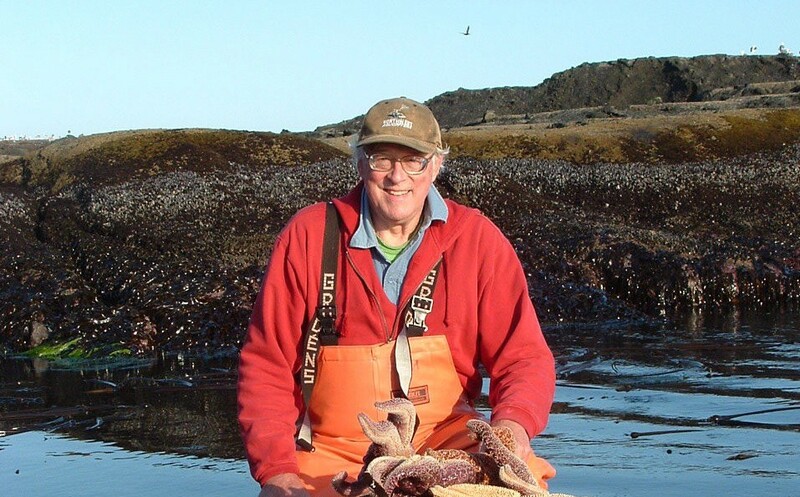 Through the Robert T. Paine Experimental & Field Ecology Endowed Fund, the impact of Paine’s research and his experimental, go-getter philosophy will continue to influence ecology and generations of scientists for decades to come. 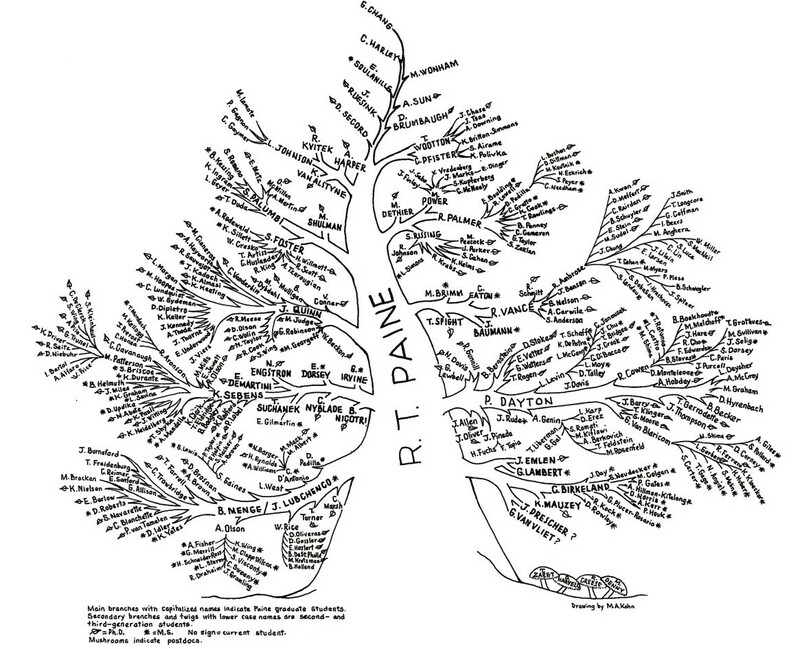 Robert T. Paine’s research and teaching legacy depicted as a tree, where the main branches indicate Paine’s graduate students; secondary branches and twigs represent second- and third-generation students; and mushrooms represent postdoctoral scholars. 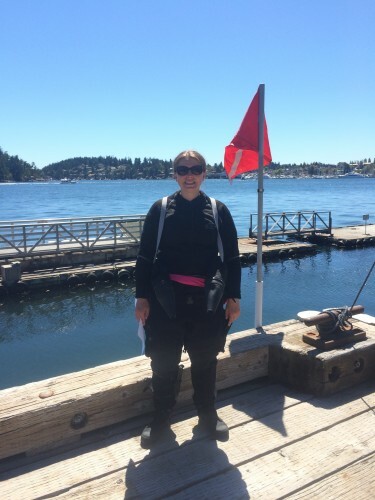 Dobkowski before one of more than 300 research dives at Friday Harbor Labs. 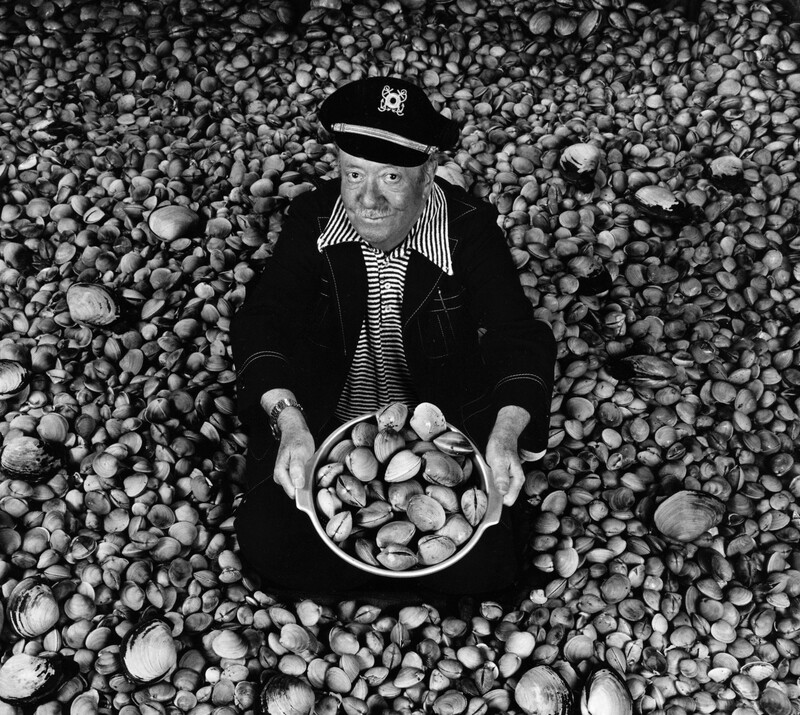 Ivar Haglund, the legendary founder of Seattle’s iconic Ivar’s Acres of Clams, was a man of many gifts: an elfin charm, a sweet tenor, a mind for branding and a knack for promotion, and a generous soul. He also had an affinity for zany stunts and silly puns, and he was devoted to his city and its waterfront. After Haglund passed away in 1985, his last will and testament revealed that the vast majority of his estate was to be donated in equal parts to the University of Washington’s Foster School of Business and Washington State University’s School of Hospitality Business Management. Once the paperwork had settled, the total gift to each school came to $5.2 million. This was, by far, the largest gift the Foster School had received at that time. But perhaps most remarkable was that the money arrived without strings or fanfare, accompanied by a simple directive: It was to be spent at the discretion of school leadership. The original Ivar’s Acres of Clams at Seattle’s waterfront. Haglund’s own education culminated at the then UW School of Business Administration, where he earned a bachelor’s in economics in 1928. 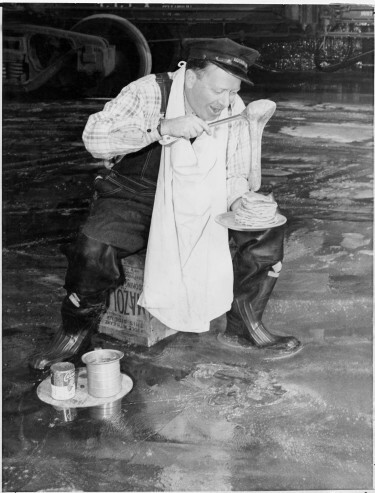 After spending much of the Great Depression as a folk-singing troubadour, he launched his entrepreneurial career in 1938 by opening Seattle’s first aquarium on what is now Pier 54. 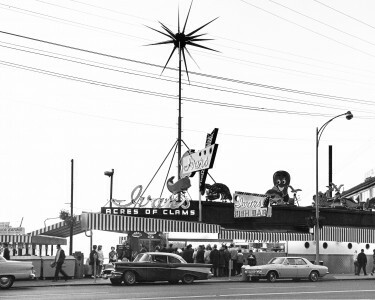 Ivar’s Acres of Clams, Haglund’s first full-service restaurant, followed in 1946. 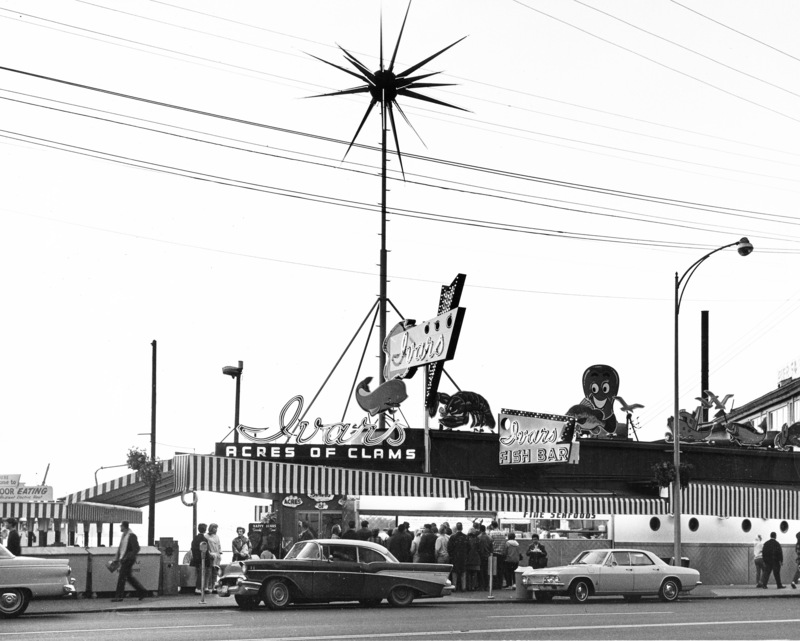 A regional empire of eateries grew from there, built on a steady diet of fresh local seafood and inventive promotions packed to the gills with headline-grabbing stunts and corny puns. There was a wrestling match between a washed-up prizefighter and Oscar the Octopus; the much ballyhooed annual clam eating contest; a “fishcal” (you might know them as “fiscal”) statement published in the Wall Street Journal; and, of course, the chorus lines of dancing clams. When a tank car spilled corn syrup all over the train tracks across from Acres of Clams, Haglund was there in a flash with a tall stack of pancakes, ladling the goopy syrup on top just in time for the papers to capture yet another iconic front-page photo. Even his signature motto, “Keep clam,” was the perfect Northwest twist on that famous articulation of the British stiff upper lip. “Ivar was a natural marketer, with good instincts and quirky ideas that endeared him to a wide audience and patrons of all ages,” notes Douglas MacLachlan, professor emeritus of marketing at the Foster School. He was also naturally empathetic and quick to connect with people and causes. This empathy motivated philanthropic acts of all sizes, from donating clam chowder for the Millionaire Club Charity to funding the annual 4th of Jul-Ivar’s fireworks. But nothing quite approached the scale or scope of his parting gift. Haglund kept his intentions for his estate private from even his closest friends. Ivar Haglund, the restauranteur of legendary wit and whimsy, was a walking photo op. “It’s pretty clear, though, that he was incredibly sentimental about the University of Washington and the great times he had there as a student,” says Paul Dorpat, a Seattle historian at work on a biography of Haglund. The clam king’s historic bequest was met with both gratitude and prudence at the UW. Nancy Jacob, then dean of the business school, helped extend the windfall as far as possible by creating an endowment. Over the past three decades, the Ivar Haglund Memorial Endowed Fund has become the ultimate utility resource, quietly financing innumerable unmet needs and unexpected opportunities. In the 1990s, endowment income seeded the launch of the Foster School’s student-focused Global Business Center, Consulting and Business Development Center, and the Arthur W. Buerk Center for Entrepreneurship. It has supported the recruitment of traditionally underrepresented students, as well as research efforts, career services and instructional computing. It has underwritten an MBA curriculum overhaul, plugged gaps in the operating budget and retired debt on PACCAR Hall. It also transformed a humble alumni newsletter into a full-blown magazine, engaging Foster grads long after they leave the UW to launch their careers. Through many years of responsible stewardship, this deep reservoir of opportunity funding distributes nearly $600,000 annually. All this certainly would please the endowment’s big-hearted “flounder” to no end, says Frank Madigan, the executor of Haglund’s estate and current COO of the seafood company. And just as Ivar’s iconic name lives on in his businesses throughout the Northwest, the Haglund endowment will support students for generations to come. 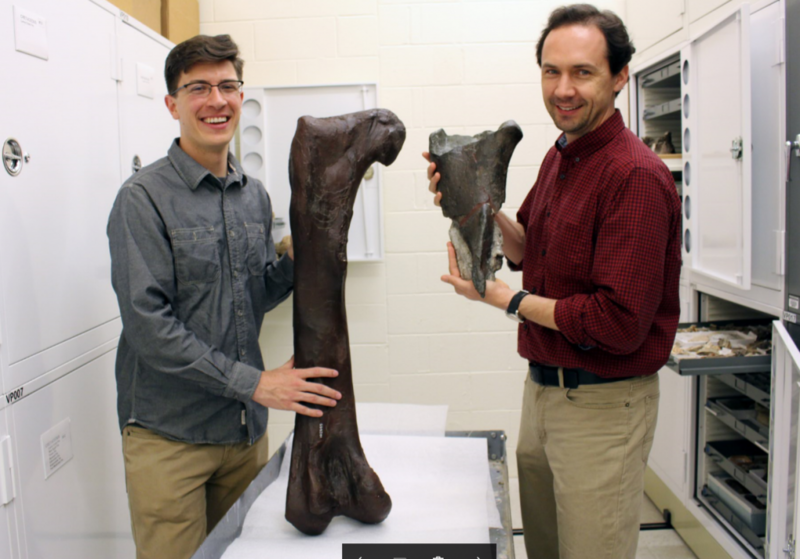 Brandon Peecook (left) and Christian Sidor compare Washington’s first dinosaur fossil (right) to the cast of a thigh bone of another theropod. More than 80 million years ago, Washington state was underwater. So when Brandon Peecook arrived at Sucia Island State Park in the San Juan Islands to investigate a fossil found by Burke Museum research associates, he thought he was going to find evidence of a marine — not land — animal. 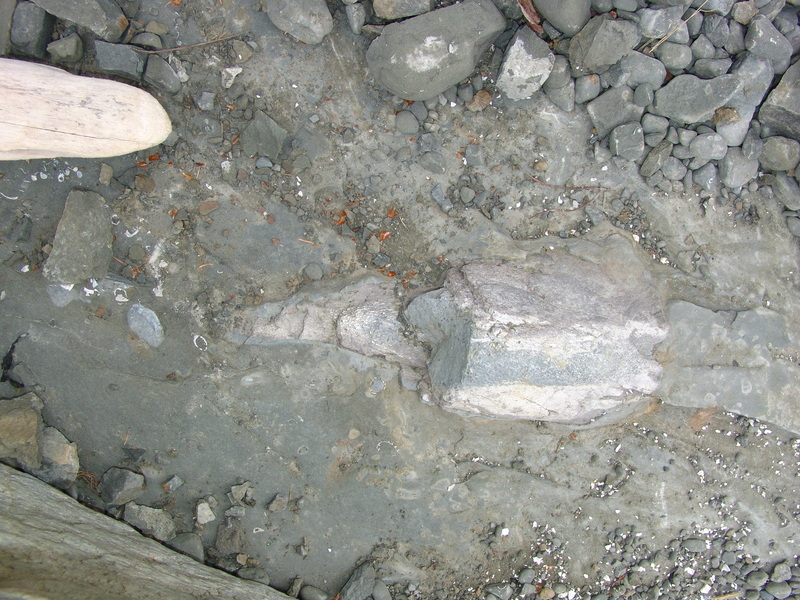 The first dinosaur fossil discovered in Washington state, as it appeared in Sucia Island State Park. It turned out that the specimen, nicknamed “Suciasaurus,” was a femur bone from a theropod — a group of two-legged carnivorous dinosaurs including Tyrannosaurus rex — and the first dinosaur fossil recorded from Washington state. 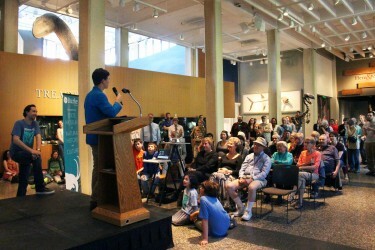 The fossil record of dinosaurs from the western U.S., Canada and Mexico is one of the best in the world, says Peecook. But that record is from the interior of the continent, and we know much less about the Pacific Coast. “This specimen, though fragmentary, gives us insight into what the West Coast was like 80million years ago — plus it gets Washington into the dinosaur club!” Washington is now the 37th state where dinosaurs have been found, and Suciasaurus is the first evidence of tyrannosaurs from the West Coast of the United States. Since completing his Ph.D. in 2016, Peecook has become a postdoctoral researcher at Chicago’s renowned Field Museum of Natural History. 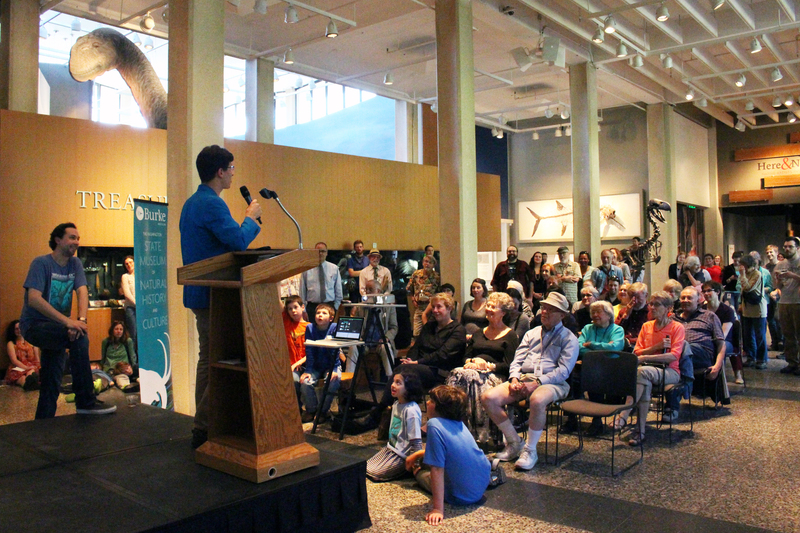 He credits his time at the Burke Museum and his fellowship as critical to his success. “While at the Burke Museum and the University of Washington, I participated in paleontological expeditions to Africa,” Peecook says. In Zambia and Tanzania, Peecook worked with Sidor and others to study the largest mass extinction of all time, which took place 252 million years ago. The endowed fellowship has helped launch the careers of Peecook and a number of other scholars, was established in 2009 by a group of passionate donors who are surely just as thrilled by Peecook’s incredible find. It helps graduate students cover their UW tuition and the cost of participation in fieldwork exercises — a necessary but pricey component of advanced paleontology degree programs. And what about Suciasaurus? As the Washington State Museum of Natural History and Culture, the fossil will stay at the Burke Museum, where schoolchildren, residents and visitors from all across Washington can press their noses against the fossil display’s protective glass. It has become an inspiration to others to take a closer look and see what they might find in their own backyards. The Burke Museum has 40 endowments that support Burke collections, research, students and educational programs. Founded in 1885 and designated the State Museum of Natural History and Culture in 1899, the Burke is the oldest public museum in Washington state. It serves more than 98,000 pre-K-12 Washington students and 13,400 UW students each year.